PhD and M.Sc in Forestry, Swedish citizenship, started his career as a scientist developing economically oriented harvest scheduling models. The “Forest Management Planning Package”, which was presented in his doctoral thesis 1986, is still in use in daily operations by all major Swedish forest companies. He left the university in 1987 for a position as Chief Forester in the Swedish State Forest Service. In this position he played a key role during the transition of the organization from a traditional state type forestry agency to a stock-listed company at the forefront of sustainable forest management development – AssiDomän AB. 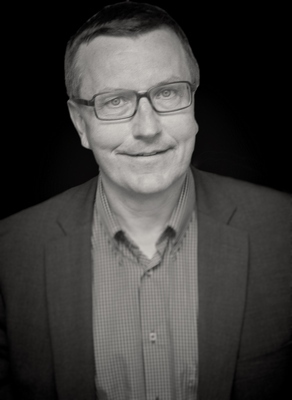 In 1999 Jonas was appointed Senior Vice President of AssiDomän AB responsible for managing the Forestry Business Unit comprising 2.4 million ha of productive forestland. Following the change of ownership in AssiDomän AB during 2002, when the Swedish state bought back the company, Jonas started as independent consultant in Forest Management and manager of Forest Investments. As such he has had assignments for the Confederation of European Paper Industries (CEPI), the Swedish Ministry of business and private enterprises, Harvard Management Company, Global Emerging Markets Forestry Fund, Sveaskog AB, the Latvian State Forestry Company (LVM) and IKEA/Pi environmental consulting. Jonas has held positions at the Board of the Forest Research Institute of Sweden, the Forestry Committee of the Swedish Forest Industry Association, the Research Committee of the Swedish Forest Industry Association and the board of FORMAS (The Swedish Research Council for Environment, Agricultural sciences and Spatial Planning). Member of the Royal Swedish Academy of Agriculture and Forestry. Fluent in Swedish, English, German.